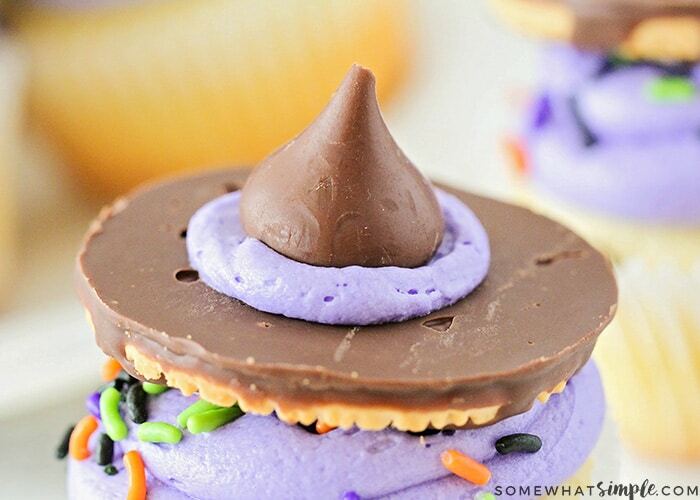 Witch Hat Cupcakes are easy to put together and they couldn’t be any cuter! 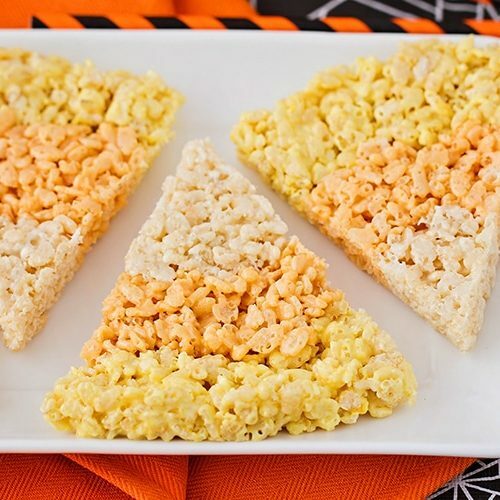 Plus they are nearly impossible to mess up, which is always a bonus with kitchen creations! Grab your kids and let’s get cooking! I’m sure you’ve all seen the cute cookie witch hats before, right? 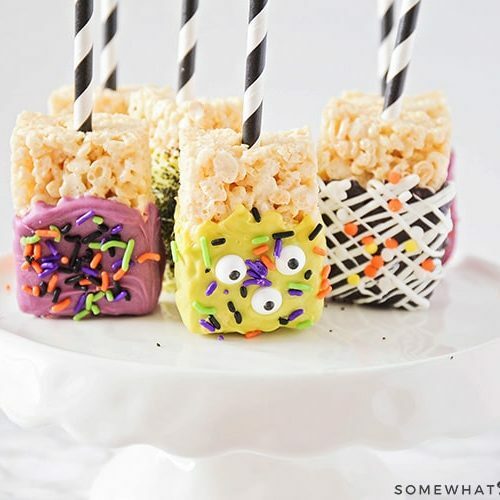 My mom used to make these years ago, so I know they aren’t anything new – but today I wanted to show you how cute they look as toppers for some cupcakes. I am always on the hunt for easy baking ideas that my kids can help with, and these cupcakes are hard to mess up. We made these Witch Hat Cupcakes last Halloween and my kids absolutely LOVED helping! They are simple to assemble and they sure look adorable… don’t you agree? 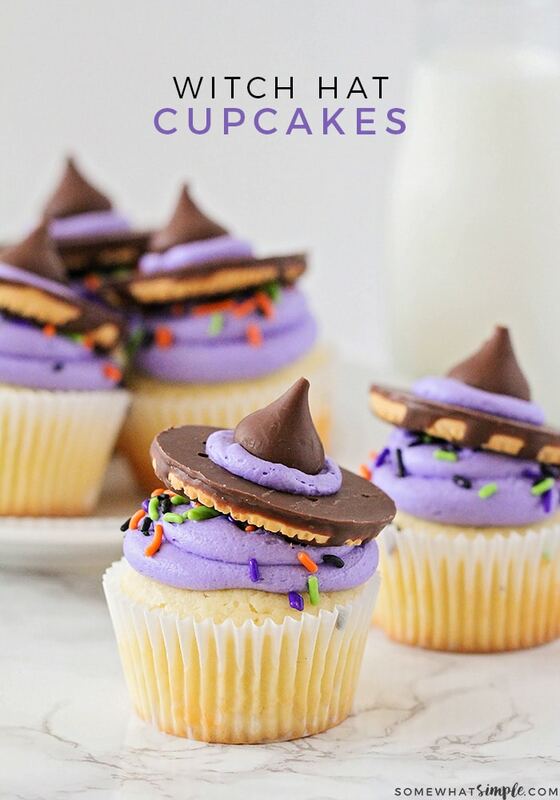 These witch hat cupcakes make the perfect treat for a class Halloween party- especially if your school has a “no homemade treats” policy like my daughter’s preschool has. 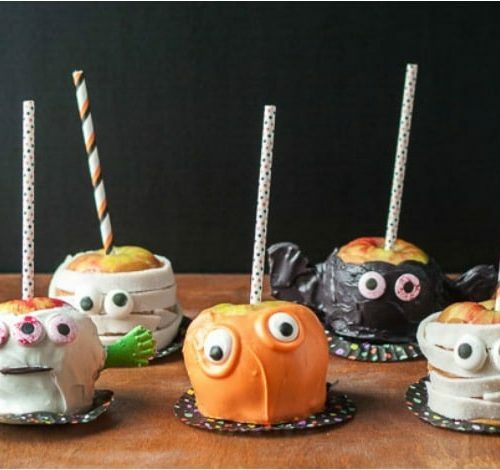 There is nothing homemade about these – so take the ingredients out of their packaging and let the kids start decorating some darling witch hat cupcakes! Assemble your witch hat by flipping the shortbread cookie over so that the solid chocolate side is facing up. Place a small dab of frosting in the center of the cookie and press the chocolate Kiss on top of the frosting. Press your cookie hat onto the frosted cupcake… and you’re done! 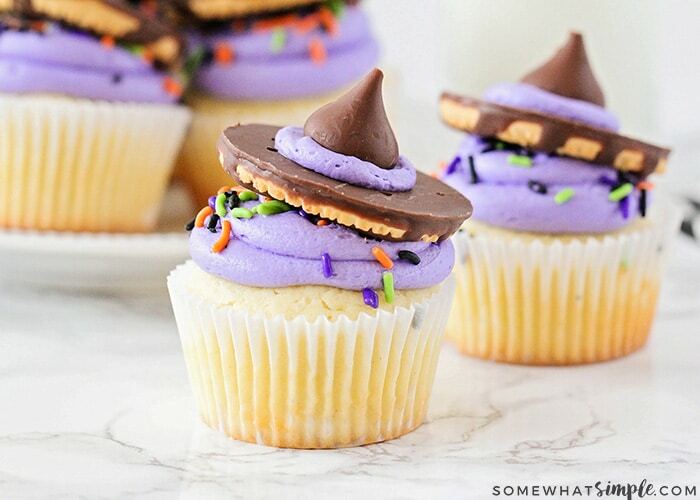 Enjoy your witch hat cupcakes and have a happy Halloween! This is brilliant and these are ADORABLE!!! I’m going to have to make them with my kids!! !